That is why academic politics are so bitter. – Charles Phillip Issawi (1973, p.178). I have always been fascinated by the academic profession. My first job at the university was in an academic development unit where I ran workshops and seminars for academic teaching staff. During my time there I watched the ebb and flow of academic careers at the university and saw how different people respond to institutional life. Some academics I observed operating strategically in the power games of their departments— witnessed the clannish nature of certain groups— and the small coalitions that would emerge suddenly between institutional actors, only to fall apart later, sometimes in a flurry of bitterness and indignation that might last for years. Others I saw being pushed gently but firmly to the margins of academic life. These were people who did not know the codes or the institutional ‘passwords’ that would give them access to the university’s ‘inner sanctum’— scholars whose habitus was always a little out of sync with the institution’s prevailing winds. Later, I did my PhD on academic labour in New Zealand universities and the ways that people build their identities as scholars. Recently, I have circled back to my earlier work on the academic profession. My colleague, Cherie Chu, and I wanted to explore how Māori and Pacific senior scholars experience academia in these neoliberal times. We were especially interested to find out the extent to which perceptions of ethnicity shape the formation of academic in-groups and out-groups. Quite a lot as it turns out. Our project, Māori Academic Socialisation and the University, was funded by Ngā Pae o te Māramatanga (2014 – 2016). Māori senior academics were the focus of this study but Pacific senior scholars gave us important comparative information, especially about institutional and interpersonal racism and academic labour at the institutional margins. Over a two-year period we listened to the stories of senior Māori academics and their Pacific colleagues and heard about their joys and frustrations as they navigated their work environments. Their accounts shed light on these small communities of scholars and their everyday working lives in universities across the country. Some of what we found has been written about before. Namely, academic life is speeding up. Workloads are increasing and the audit regime of universities, the obsessive counting and measuring of outputs and knowledge, takes up more and more of our time. But what interests us is how Māori and Pacific scholars engage with the knowledge bases of their disciplines— how they are ‘racialized’ often by well-intentioned colleagues or HR-driven ‘diversity’ policies— and how this affects their careers and long-term prospects in the university. 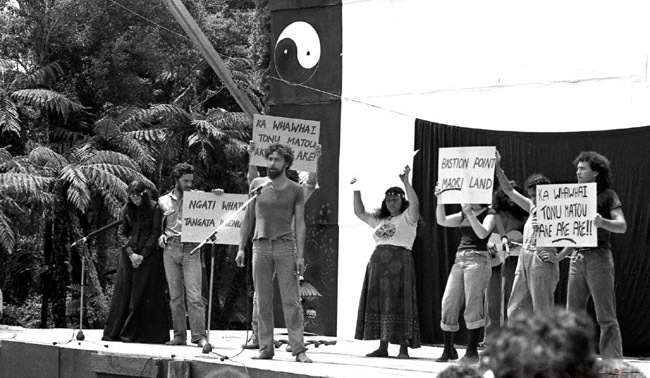 We also discovered a group of older Māori academics, most of them close to the age of retirement now, who were heavily involved in Māori political activism between the 1970s and 1980s. This is a group of people who cut their teeth, politically speaking, at a time of heightened tension between Māori people and the Crown. They carry a particularly indigenous form of scholar activism with them into their work in universities and many have been vocal critics of the free market capitalist regime that has characterised life in New Zealand over the past 30 years. These older scholar activists have very different ways of operating in the academy compared with younger Māori academics who are just beginning their university careers but they leave an important legacy. The study took a number of other unexpected turns but here is a (paraphrased) description. This study explores how Māori and Pacific scholars became senior academics; how they shape their interactions and relationships with their institutions of higher learning; how they engage with their disciplines; and, how they apply academic knowledge to support and sustain tribal, ethnic and/or cultural priorities outside the academy. The project also examines the challenges and opportunities that Māori and Pacific senior academics encounter along the way. Cherie and I are still writing up material from this study but the final report (Māori Scholars and the University) and some associated publications and presentations about our research in this area are listed below. Issawi, C.P. (1973). Issawi’s laws of social motion. New York: Hawthorn Books. Kidman, J. & Chu, C. (2017). Scholar outsiders in the neoliberal university: Transgressive academic labour in the whitestream. New Zealand Journal of Education Studies. 52(1), 7-19. Kidman, J. (2007). Clustered supervision of Māori doctoral students. In C. Denholm & T. Evans, (Eds.). Supervising doctorates downunder: Keys to successful doctoral study in Australia and New Zealand. (pp.164-172). Melbourne: ACER Press. Kidman, J. (2001). Travelling in the present historic: A case study of socialisation in an academic community in New Zealand. PhD Thesis. The Australian National University, Canberra, Australia. 310pp. Kidman, J. (1999). A people torn in twain: Colonial and indigenous contexts of university education in New Zealand. Interchange. 30(1), 73-91. Chu, C. & Kidman, J. (2016). Race-ing the academic knowledge ‘gap’: Epistemic violence in New Zealand universities. 44th Annual Conference of the Oceania Comparative and International Educational Society (OCIES): Exploring equity gaps in education: Toward unity, not uniformity. 24-26 November, University of Sydney, Australia. Chu, C. & Kidman, J. (2016). “We’re not the hottest ethnicity” – Diasporic Pacific encounters in neo-colonial academic space, Diasporas of the Pacific: Multilateral, Intergenerational and Transnational Conference, 22-25 April, Lautoka, Fiji. Williams, L.R.T., Smith, L.T., Kidman, J., Phillips, H., McKinley, E. (2004). The Māori and indigenous doctoral support programme. Higher Education Research and Development Society of Australasia (HERDSA), 4-7 July, Sarawak Malaysia. Kidman, J. (2016). “Angry natives” and indigenous scholarship: The racializing of academic dissent in New Zealand universities. Community, Identity, Displacement Research Network seminar. 30 May. Victoria University, Flinders Campus. Melbourne, Australia. Kidman, J. (2016). Indigenous academic experience. Indigenous Early Career/Post-Graduate Workshop. Ngā Pae o te Māramatanga New Zealand’s Maori Centre of Research Excellence. 14 November. Department of Māori Studies, University of Auckland, New Zealand.